Todd's client said: "I went to university with Todd, and he's definitely cut out for television. He's confident, humble, kind, intelligent, engaging, dedicated, well-spoken, popular and very attractive! 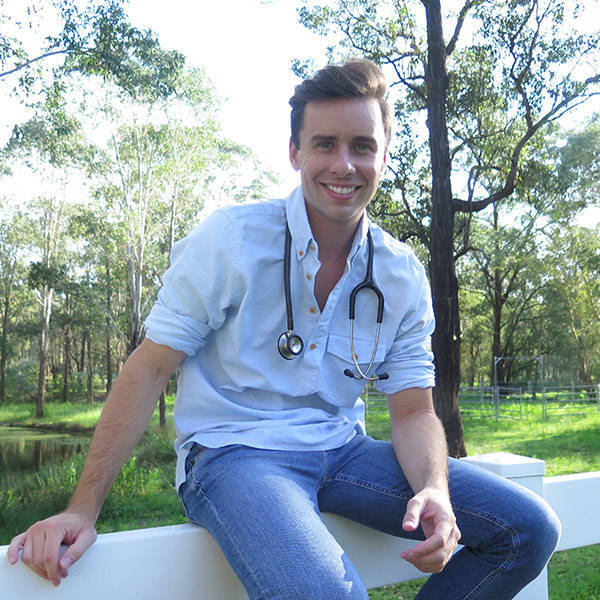 He was our student society president"
Answering a question by Jamie Reisin - "How do you divide your time between your vet work and your dance work, and do you have a preference?" I would actually turn my tv on and watch it if Dr Todd became the next Bondi Vet. He is such an incredible person in every way possible. Todd is a very interesting person with a background (his dance career) that sets him apart from most other contestants. His passion for animals and entertainment make him the best choice as the next Bondi Vet. Such a lovely and deserving guy, couldn't think of a better fit! Fantastic vet, professional and kind. I have used Vaxivet a couple of times and have highly recommended Dr Todd to family and friends. Todd was made for television! He was at uni with my brother and they organized the whole vet revue to great aplomb! He has now started his own vetinary business which I think is very impressive at such a young age. Todd has great screen presents and obviously cares a lot about animals given his after hours practice. Todd is kind to a fault, genuine and relatable. Plus, he's already got fans in the UK - good news for international syndication.